Cosmetic eyelid surgery, also known as blepharoplasty is performed on a regular basis by specialized skin surgeons, and in most cases the results are stunning. People with drooping or baggy eyelids are rewarded with a tighter firmer look in these areas, and in many cases most of the wrinkling associated with droopy lids is also eliminated. The exact procedure will vary depending on the severity of the condition and what its main cause is. Normally this outpatient procedure has no lasting side effects, but there have been a number of cases where the patient is not satisfied with the results or even experiences physical discomfort. In rare cases, infections or nerve damage has been documented. A pre-operation examination is performed to see what is causing the upper or lower eyelids to sag, and how the wrinkled skin, if any, is attached to underlying tissue. Sometimes the doctor will not recommend blepharoplasty, but rather Botox treatments or a simple brow lift procedure. The operation itself involves separation of the skin from the underlying layer of tissue. Most people have excess fat deposits in this area, one of the reasons the nerves act differently than when the individual was younger. The fat deposits can be removed easily, and when the skin is stretched and cut the muscles in the region will tighten after the remaining skin is stitched together. Tiny sutures are used to connect the remaining skin of the eyelid, and after they are removed, most patients experience no lasting scars. When the procedure is performed to tighten the skin of the lower eyelid, the incision is made near the lashes. The skin is peeled away from top to bottom, the fat is removed and some of the wrinkly skin is cut away to make the entire surface smoother. Usually the only side effects of these procedures is slight to moderate swelling, which usually lasts only a day. The patient may feel some discomfort when blinking or moving the eyeballs from side to side. Temporary hematoma formation occurs in some individuals as blood collects and forms small pockets; often this condition is seen as red spots on the skin. The body will usually repair these problems on its own, but if symptoms last for more than about 10 days the patient is encouraged to notify the doctor immediately. Some patients will experience dry eyes or have bruising of the skin after surgery. This is normal and also tends to disappear in less than a week or so. Aggressive exercising of the eyes is not recommended for a while after surgery, nor is exposure to bright sunlight, as this causes an increased frequency of blinking. Doctors will discuss the post-operative procedures for resting the eyes and keeping them adequately hydrated, usually going over the important points during the initial examination. Since these procedures are performed by a licensed doctor specializing in the field it is assumed that any complications are the result of a poor diagnosis or recommendation. Also, being cosmetic surgery – except in extreme cases – the most common complaint is that the overall appearance of the eyes is not improved. 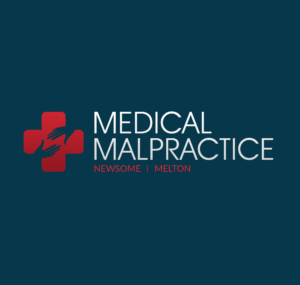 However there may be legal compensation if there is any form of dysfunction of the eyes, if the muscles in the vicinity do not function properly or if there is a serious infection that results in damage to the eyes or other parts of the face. In most instances a refund may be offered by the clinic performing the surgery, or the doctor may be able to employ further corrective procedures. But those who are unable to resolve a dispute may wish to consider legal action. This is especially true if there is any evidence of medical negligence.